Anyone with more than 15 years of Maximo experience – myself included – cannot help but be excited by MaximoWorld next week. It has a rich history in the industry and represents one of the greatest user communities to be connected to. In thinking about this year’s event, I am reminded that it represents two watershed moments in our industry. 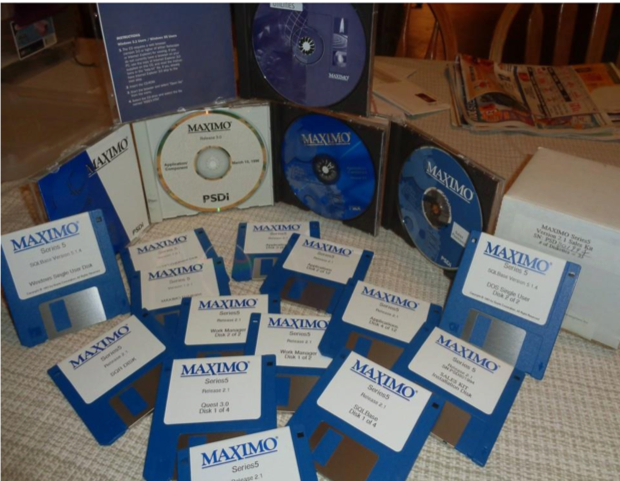 First, the company that created Maximo, Project Software & Development Inc., more commonly known as PSDI, was founded August 4th 1968 by Bob Daniels. That’s right – 50 years ago! PSDI produced a true powerhouse software solution called Project/2, or P/2. The nuclear industry used this solution to handle outage management. It still has connections to Maximo today in that it was the precursor to Maximo’s scheduler product, run on IBM Sys/360’s. Even back then, Maximo was on IBM’s radar. It was offered in a software-as-a-service (SaaS) platform well before the phrase was actually coined in 2005. The point here is that PSDI was at the forefront of innovation. This spirit has been carried through the many iterations of Maximo to this day. Second, I had a chance to confer with Rob Bloom, former VP of Marketing for MRO Software/IBM and official Maximo Historian. He pointed out that this year’s conference will mark the 33-year anniversary for this “Grand Daddy of Them All Maximo User Groups”. It got its start in 1985 as the International PSDI User Week. When I joined PSDI in 1997, I got my first taste of what a real user group meeting was all about. It was educational. In fact, I still remember the first customer presentation I ever saw – a reporting session by Morristown Hospital! It was also an undeniably good time with the executive team including Chip Drapeau (who later became CEO), Bill Sawyer (COO), Jack Young (CTO) and Ted Williams (VP of Sales). They dressed as the Village People and danced to YMCA to the delight of our customers. To my chagrin, the one known picture of that event has been purposely destroyed, though rumors persist of its existence in a sealed underground vault in Cambridge. This executive interaction, as well as engagement from the entire Maximo team, became a mainstay of the value of these user groups. In 1999, just prior to the change in name from PSDI to MRO Software, the user group changed its name to MRO World. This was done to better reflect the focus of the ecosystem around Maximo. The conference continued to grow and, with the acquisition by IBM in 2007, attendance had reached 1,750 and the name was changed to MaximoWorld. MaximoWorld then became the cornerstone of IBM’s PULSE Conference, which then evolved into InterConnect (expanding to an even broader audience), and this past year to Think 2018. Though part of a larger conference, Maximo’s sessions were always packed and well attended. However, it was becoming more evident every year that the community was calling for a new “Maximo-Only” cross-industry event. Enter Terry O’Hanlon and his ReliabilityWeb team with the vision and resources to bring Maximo users back to the forefront. First it was as a part of his International Maintenance Conference (IMC), and then last year as its own stand alone conference. It was even brought back to the old “home” of MaximoWorld – Orlando’s Swan and Dolphin. It is also exciting to see the IBM Watson IoT team put their full support into making this user group a success. This brings me to the other 1000+ reasons to be excited about MaximoWorld 2018 –the Maximo Ecosystem, including customers, partners, and IBMers. There will be over 1000 people attending this year’s conference. Each person comes with the focus and desire to share with, learn from, and connect with others on how to improve the use of Maximo. Having been a part of the user community from two of the three sides of the ecosystem, I have seen the value of this very unique relationship. In the software industry there are very few products that galvanize a community like Maximo. I liken our user group meetings, specifically MaximoWorld, to the industry’s best potluck supper. Why? If you have ever attended a family event or reunion, sports team party, church gathering, etc… you will be able to relate. First is the food. At a potluck dinner, everybody needs to bring a dish. 90% of the time, each person will bring their “go-to” recipe. It will be that one dish that everyone raves about- the one thing they do extremely well. That one casserole with the bread crumbs, the 4 cheese macaroni, the Oreo cheesecake…you know what I am talking about. Sure you will get the fresh veggie tray or the fruit salad – maybe a bit boring, but a needed staple. To be frank, in my family I was the Ice/Cup/Drink guy until I finally learned to make an outstanding 7-layer salad. The point is, it is an adventure to walk down that food table with an empty plate. At the potluck it is also inevitable that you will get to talk to people you don’t get to interact with often. At family reunions, it could be the cousin that you lost touch with. Yet now you realize how much you enjoy catching up with them. It could be an in-law that is much more interesting once you got to know them. You almost always leave with a good story to share, and with intentions of reconnecting at some point in the future. MaximoWorld will be no different. Many customers will be presenting their “best dish” on how they have dealt with challenges. They also share their creative uses of Maximo to deliver real value to their stakeholders. And don’t avoid the “vegetable tray” presentations. Sometimes those are the best for finding out just the right trick to fixing a very specific challenge you are facing. Partners sharing implementation strategies or add-ons that make Maximo even better. Even Mom and Dad (IBM) will be there talking about the future of Maximo. They are eager to listen to you on how to keep alive the spirit of innovation. This ecosystem is so unique because it acts like a family. Stop by many of the partner booths and you soon realize that there are Maximo relatives everywhere – former MROers, IBMers, and customers. We are competitive as partners. Yet there is a spirit of “co-opetition” amongst us all wanting the same thing – a successful Maximo customer. Many of us in the ecosystem have known each other for years. We know that a successful Maximo customer is much better for our success, even if it is not directly our customer. As I talk to customers, partners and IBMers, I am amazed at just how many I have known for 10, 15, 20 years…something you just won’t find in these “newly born in the cloud” solutions. Be excited to be a part of this historical event. Stop by the Aquitas booth (#201) and try our famous “Connected Maintenance Maximo Casserole”. We even have Maximo Augmented Reality for dessert. Plus we can reminisce about old times and what the future holds. 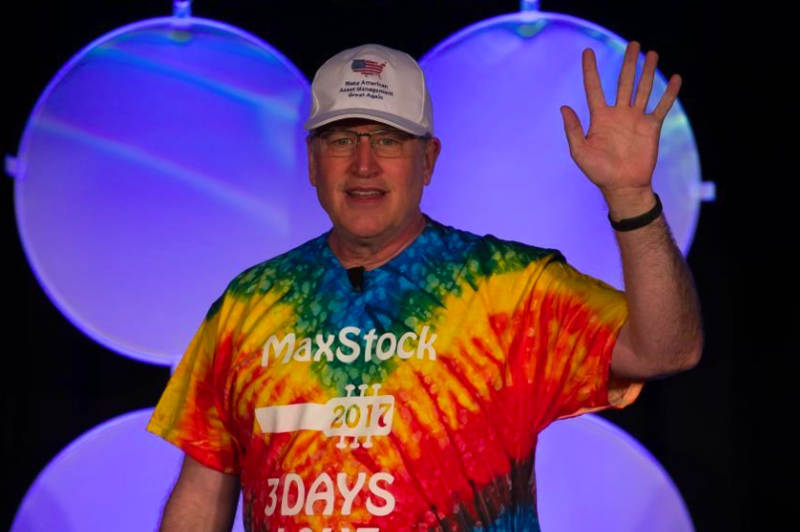 The post MaximoWorld – our industry’s best potluck dinner appeared first on Internet of Things blog.